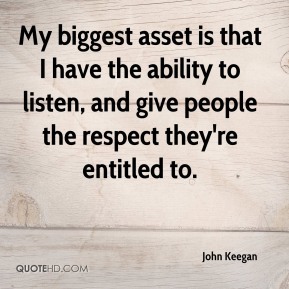 My biggest asset is that I have the ability to listen, and give people the respect they're entitled to. We are going to talk to franchisers, the types of businesses that are attractive to shoppers, the kinds of stores that make people get out of their cars and browse. 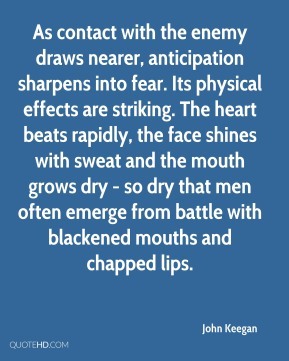 As contact with the enemy draws nearer, anticipation sharpens into fear. Its physical effects are striking. The heart beats rapidly, the face shines with sweat and the mouth grows dry - so dry that men often emerge from battle with blackened mouths and chapped lips.